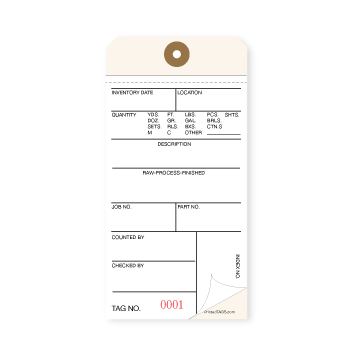 Take the hassle out of inventory with inventory tags from Printed Tags! We know that doing inventory can be a dreaded but necessary task for any business and that’s why we are here to make things as hassle-free as possible. With multiple quantity options featuring adhesive or non-adhesive inventory control tags we are with you every step of the way to get the job done. Need a more custom inventory tag? 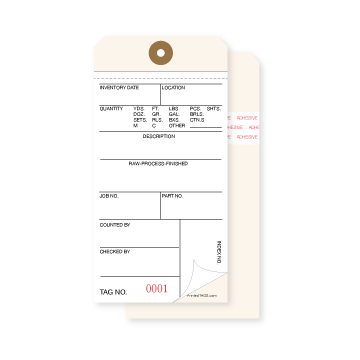 Printed Tags can build a custom inventory tag to match your needs.